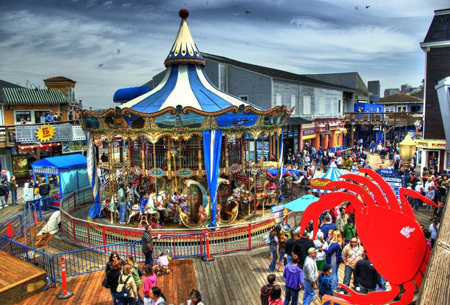 Pier 39: Discover the ultimate essence of being San Franciscan!! Fisherman’s Wharf is one of the popular tourist attractions in San Francisco which was used as a filming location in the James Bond film “A view to a kill” is best known for being the location of Pier 39. No longer have a waning fishing fleet, but the carousel, shops& restaurants, and carnival-like attractions have become a claim to fame. The focal point of Fisherman’s Wharf developed in the 1970s to revitalize the tourism proved to be a crowd-puller due to its big outdoor shopping mall. Visitors are seen renting strollers, storing luggage and using free phone-charging stations but there is something beyond the pier. It’s sea lions! They just love it at Pier 39. Ever since 1990 when these vociferous mammals took over the coveted waterfront real estate, these unkempt squatters canoodling, scratching their backsides, lazing in the sun, slithering about and scurrying off are making a public display. Basically, a jumping off destination for further adventures around San Francisco Bay, on the pier and, on the streets. Sail the Bay aboard is one of the most popular activities at Pier 39 offers various water attractions. 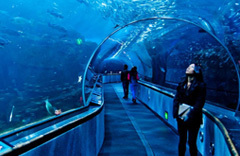 Discover 20,000 local sea creatures at Aquarium of the Bay. Enjoy free daily shows by local stage performance at the smart water stage in the Pier 39 Entrance Plaza. Consistently voted among the top five activities to do in San Francisco which offers the legendary experience of sailing on the beautiful San Francisco Bay. 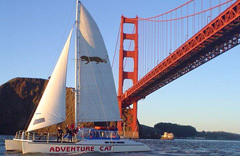 Adventure Cat Sailing Charters offer the exhilarating sunset’s sails and relaxing afternoon bay cruises that bring the best way to see Alcatraz Islands, the San Francisco Bay and travel underneath Golden Gate Bridge. 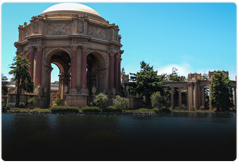 The experience beautifully combines the romance of the city with the adventure of the bay. Paradise for thrill seekers to get the most exhilarating ride of their life. The ultimate high-speed on the San Francisco Bay where your daredevil captains will make you feel blown away with wild twists and turns. Other add-ons are phenomenal views and a classic Rock n Roll Soundtrack that will make your ride unforgettable. 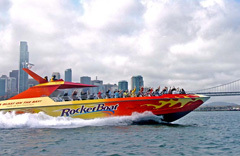 RocketBoat runs seasonally from May to October. 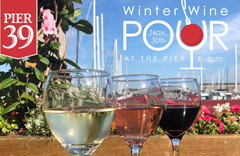 Get the award-winning North Californian wines and enjoy two-hour daytime or sunset voyage to get the mind-boggling views of the city that the Bay has to offer. 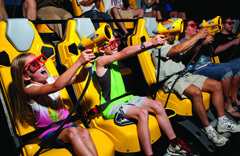 Get the tremendous experience of a rollercoaster and the elation of an ultra-modern laser-blasting game at the 7D experience. Enjoy state-of-the-art 20-seat theatre, giant movie screen and the latest 3D technology that will blow your senses as you ride, and compete through the other dimensions. Put your agility and confidence together to test the navigation through the web of crisscrossing laser beam. Discover the ultimate magic, beauty, and wonder at Aquarium of the Bay where more than 20,000 local sea creatures await for you. Your visit ensures you to take you through the main exhibit areas that display the astounding riches that lie beneath the surface of the blues. The Aquarium of the Bay’s objective is to restore and inspire conservation of San Francisco Bay is accredited by the Association of Zoos & Aquariums. Get an eye-to-eye contact with a Sevengill Shark and be bewitched by moon jellies and explore the distinctive ecosystems of San Francisco Bay. With 1800 twinkling LED lights and 30+ horses to ride, the Carousel offers the artistic renderings of the city. Handcrafted in Italy, peculiarly ornate with San Francisco monuments including the Coit Tower, Golden Gate Bridge, Alcatraz, and the popular Californian Sea lions. Enjoy hearing the traditional organ music throughout the ride and witness the bustling promenade of Pier 39. Biking through the Golden Gate Bridge to Sausalito and Tiburon and then catch the ferry make the best part of your trip to San Francisco. Biking offers the same excitement from beginners to the advanced riders so that nobody could feel deprived. 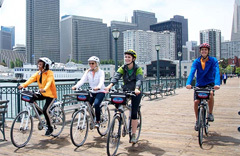 Explore the enthralling ride that commences from National Park Bike to the Golden Gate Bridge. You will be crossing then the bridge from sidewalk followed by coasting downhill into Sausalito to discover some best dining-out options before returning on the ferry again. If you are looking for some of the freshest and scrumptious seafood dishes, then Pier 39 is one of the best places to dine-out. Savour the most authentic clam chowder, sushi, hamburgers, and pizzas paired with California wines and enjoy an uninterrupted view of the Golden Gate Bridge and San Francisco Bay. We have curated some of the great restaurants that can satisfy your hunger with a distinctive ambiance. Bubba Gump Shrimp Co. captures the American spirit and presents quality seafood. Chart House offers scintillating views of the Golden Gate Bridge, the San Francisco Bay and Alcatraz Island. The place is famous for the seasonally creative dishes and authentic menu of delicious steak that make the place worth to visit. Crab House features some of the authentic and mouth-watering crab menu located on the second floor of Pier 39. 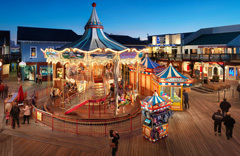 Pier 39 is a shopping haven with more than 65 exclusive shops selling ceramics, crystals, and puppets for the child and above all, goodies for left-handers. The place offers souvenir to fit everyone’s aspirations and budget. We have picked some of the best shops to treat yourself to get an unforgettable shopping experience. Aquarium of the Bay Gift Shop to dive the unique Aquarium of the Bay merchandise and other Bay souvenirs. San Francisco USA to buy your own “I love San Francisco” T-shirt, sweatshirt and Tank Top. San Francisco Salt Company is one of the popular destinations specifically for body-care. The place features some of the great handmade artisan bath salts available in 24 great fragrances that leave for fresh and fragrant. Pearl Factory sells a wide variety of unique pearl jewellery. Featuring Hawaii’s original pearl in an oyster where you can open your own oyster and one pearl is guaranteed. 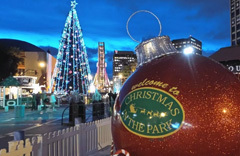 From November 21-January 1, 2019 at San Francisco’s waterfront is like a ceremony of unwrapping a new nightly tree lighting show on 60-foot Christmas tree which will be held between 5-10pm. The local musical shows will spice up the event but the dazzling tree always picks the centre stage. Get carried away with some fantastic local performances and sharing of letters with Santa to make your Christmas and New Year Eve worth remembering. 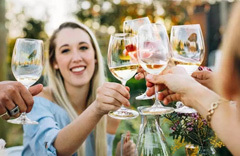 Sip some authentic collection of North Californian wine and toast the holidays with family and friends. 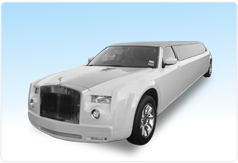 Global Tours is committed to delivering the highest quality of luxurious rides. 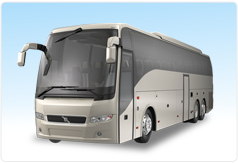 Are you travelling with a large party or having a particular class preference? 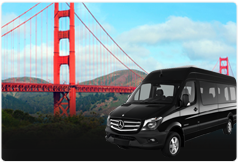 Global Tours offers a fleet of fantastic vehicles with a distinctive standard of quality, anytime and anyplace. Ride with our fully licensed chauffeurs and ride your destination in comfort. 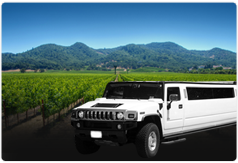 Our San Francisco limo amenities are meticulously designed to delight you with our best selection of luxury limos.